This value for money enclosure provides a choice of viewing options at the Air Tattoo. 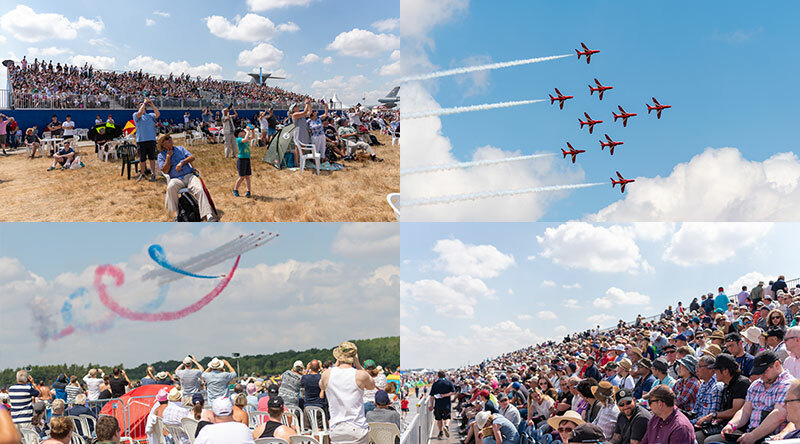 Book a seat in the Grandstand for an amazing view and a great opportunity to photograph the flying action or book a seat within the Garden as a base for your day at the Air Tattoo. With a range of cash catering options and private toilet facilities, it is an ideal location for anyone looking to meet up with family and friends. Either a Premium or Standard Grandstand seat or a Garden seat (white plastic garden chairs). Every ticket holder is entitled to a chair, so please ask one of the enclosure staff if you cannot find one. Premium Grandstand seats are located on the top row, aisle and left hand side. We have a seat booking system for the Grandstand - when you purchase your tickets you will be able to select the seats that you want with our interactive layout. Please note that the system will not let you leave single seats next to an aisle or leave gaps between seats that you select. You must complete your booking within the allocated time in order to secure your seats. Please note. Children aged 5 and over require a ticket for the Viewing Village, children under 5 are free as long as they do not occupy a seat. Our enclosure staff are there to help you and to ensure that you have a great time. 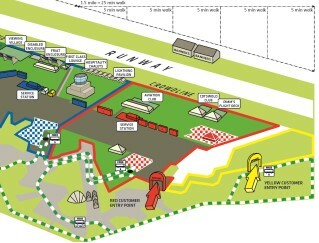 Please do let them know if you have any questions or any issues whilst at the Viewing Village. To compare the Viewing Village with our other enclosures, please click here.